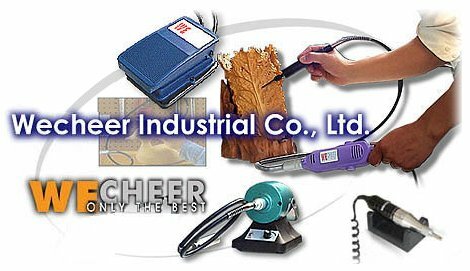 With over 40 years experience in the manufacture of power tools, Wecheer is constantly developing new technology to provide the best in quality and performance. Our main product lines consist of electric motors, flexible shafts, and grinders. We have tools that are suitable and are commonly used for polishing, engraving, drilling, carving, manicure/pedicure, and jewellery crafting. If you are a professional or DIY user, please feel free to e-mail us for recommendations on what tools suit you best.